Rocky Mountain Physical Therapy is on-site at four fitness centers to offer a full battery of therapy services. Equipped with a gym, Pilates/Yoga studio and pool at the Fort Collins location, we offer state of the art customized rehabilitation. HealthLight therapy uses infrared lights to emit energy. This energy acts on hemoglobin in the blood to dilate blood vessels increasing circulation and delivery of oxygen to tissues — resulting in decreased pain, paresthesia and numbness. Rocky Mountain Physical Therapy brings to you the most experienced and highly skilled physical therapists in the greater Fort Collins, CO area. We pride ourselves on our attention to detail and making sure we are helping each particular client by understanding their current physical needs, pains and limitations and forming a patient specific plan to help with healing and rehabilitation. We have 4 locations in which we offer our physical therapy services: Loveland, CO, Fort Collins, CO, Windsor, CO and Johnstown, CO. We even offer Aquatic Therapy in our Fort Collins location. At Rocky Mountain Physical Therapy, we have carefully chosen our locations and partnered with gyms and similar facilities so that our clients can continue their recovery and rehabilitation on their own once physical therapy is no longer needed. We are here for you!Call today for more information or to schedule an appointment. 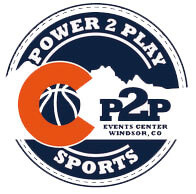 We are a proud sponser of Power 2 Play!